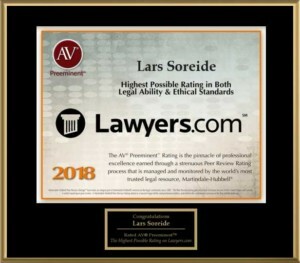 Soreide Law Group is investigating potential claims on behalf of investors who purchased GPB Funds because of their broker’s investment recommendations. Apparently, GPB Capital Holdings, founded in April 2013, is an alternative asset management company based in New York. Primarily, the firm focuses on the acquisition of income-producing private companies. Specifically, the company claims that it provides the companies in their portfolio with managerial insight, strategic planning, and capital. Apparently, GPB aims to help businesses grow and become more prosperous. Evidently, the company raised $1,500,000,000.00 from investors so far. The two largest funds, GPB Holdings II and GPB Automotive Portfolio, have accumulated approximately $1,267,000,000.00 in investor funds alone. GPB reportedly informed brokerage firms in August 2018 that it was planning to pull back on its private placement sales. Specifically, GPB Capital CEO, David Gentile, claimed that the company was facing challenges in part due to the significant increases in private placement sales. Apparently, the company failed to make required financial filings with SEC by April 30 regarding GPB Holdings II and GPB Automotive. Because of this, GPB suspended fund redemptions. Private placement investments in GPB Capital Funds have raised concerns from state and federal regulators. Particularly, the Financial Industry Regulatory Authority (“FINRA”) and the Securities and Exchange Commission (“SEC”) have both examined whether brokers engaged in sales practice violations with respect to their sales of the private placements in GPB Capital Funds. Not only that, but Mass. Secretary of State, William Galvin, conducted an investigation into more than sixty brokerage firms selling GPB Capital Funds. Officials are determining the harm private placement sales cause on investors. Evidently, regulators’ principal concerns relate to the high commissions that brokers earn upon selling the products. Supposedly, firms stand to earn as much as twelve percent commissions for selling risky private placements to investors. Critically, twelve percent commissions far exceed the commissions which firms have charged on mutual fund and stock trades. Because of this, regulators are concerned that brokers are more willing to sell the risky private placements to investors. However, those investments do not gel with customers that have conservative risk tolerances or investment objectives. Apparently, up to sixty brokerage firms, including Woodbury Financial Services, FSC Securities Corp., Sagepoint Financial Inc., and Advisor Group, have sold GDP Funds. As a result, GDP has reportedly paid approximately $100,000,000.00 in commissions to brokers. Brokers have reportedly earned approximately 7% in commissions on those private placement sales. Brokers have a duty to perform reasonable due diligence on private placements they recommend to investors. Not only that, they have a duty to refrain from selling investors private placements that do not match up with the investors’ risk tolerance. Plus, brokerage firms are responsible for supervising brokers’ investment recommendations. Given the somewhat lax regulatory standards when it comes to private placements, coupled with high commissions that brokers earn for selling them, there is a greater risk of broker misconduct. Did a broker sell you unsuitable GPB Funds? Investors who have incurred losses by investing in GPB Funds can contact Soreide Law Group at (888) 760-6552 for a free consultation. Our firm has recovered millions of dollars for investors who have suffered losses in part due to their brokers’ sales of inappropriate and unsuitable securities. We represent clients on a contingency fee basis and advance all costs.